Are you ready for another free downloadable pattern? This is Fat Quarter Shop's Jelly Roll Railway Short Cut Quilt Pattern. It comes together super fast because it uses a jelly roll from which you pick 20 strips, add background and accent/border fabrics, and begin sewing. Of course, I had to Sew Along! This is my version, and I am calling it "Color Happy". Yep, the word 'happy' had to be part of its name because of how the colors make me feel. 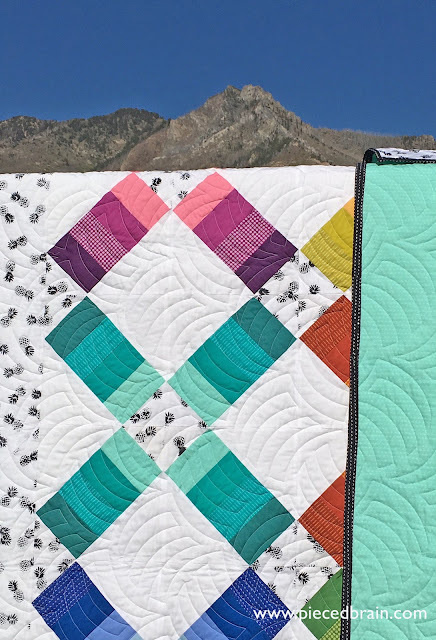 In fact, since the beginning of this year I have made a few quilts with bright colors that make me smile broadly - while most quilts make me go 'Awww...', these just stamp a huge smile on my face. 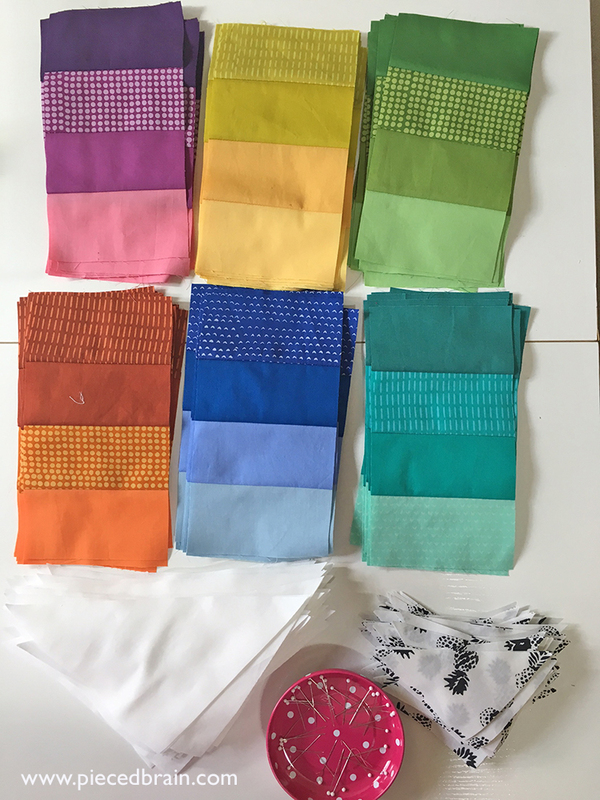 When I received the pattern I was not sure which fabrics to use. Then, I remember the small stash of jelly rolls I have by Hoffman Fabrics, looked through it and found the Indah Pops MYBP #636-Simple. These Indah Pops strips of batik have solids and prints mixed in the package in just the right combination - lots of colors and fun textures for us to play with and create quilty magic. I let the fabrics in the jelly roll sing to me resulting in a different spin on the pattern. This is it: 142-655-Chalk with floating pineapples. Think about it: when looking closely you can find most of those colors from the jelly roll on the skin of the pineapple. 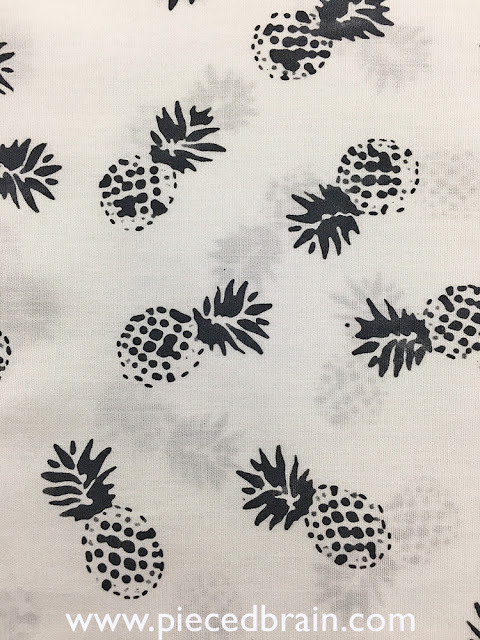 Why not black and white pineapple as its colors were already on the quilt? Oh, yeah! The chain piecing party began, which is the fun part of the Jelly Roll Railway pattern. 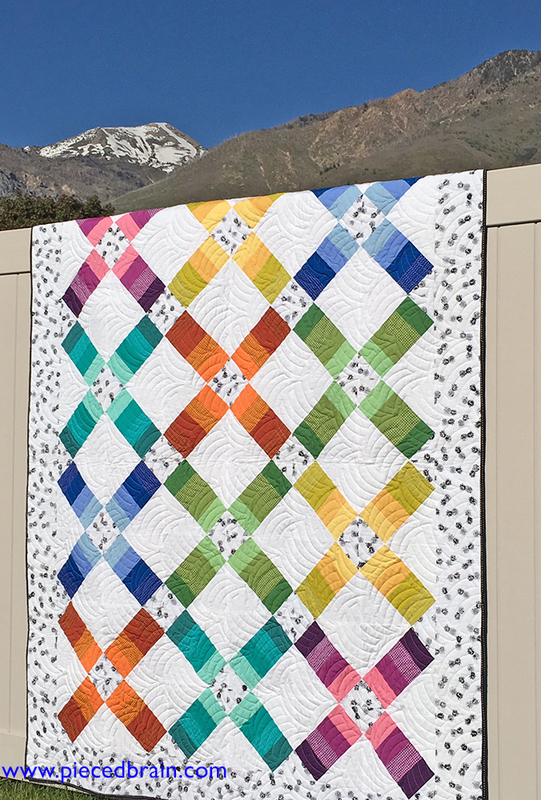 I made this quilt in one day! I pieced the whole thing with Aurifil 50 wt white thread. 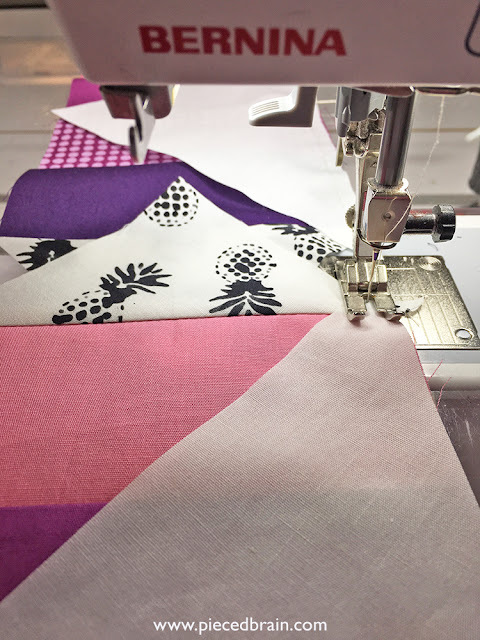 Melissa from Sew Shabby Quilting chose the quilting motif - isn't it perfect? The day was so clear here in Utah, the photos turned out very nice, and Toby the dog stayed patiently in the car while my husband helped me. I was one happy quilter! It was then that my husband claimed this quilt. I will need to keep it in our bedroom because he does not want my 17-year-old wrapping himself with it, as he does with many of the quilts I made. It will be wonderful to look at it every morning! 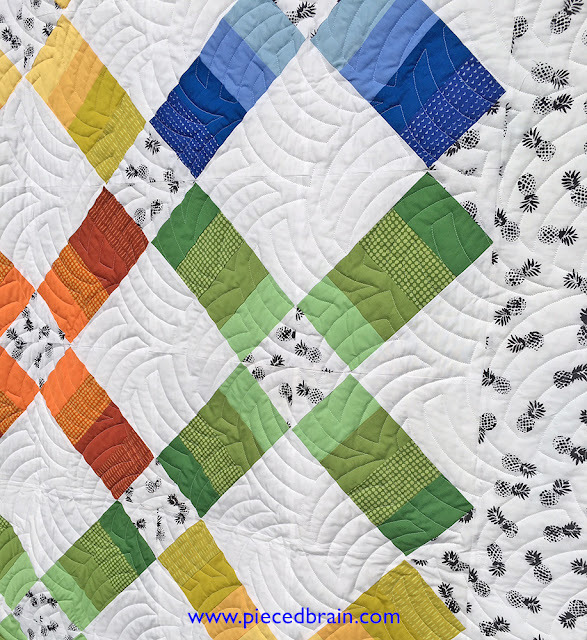 This pattern is a winner, ideal for when you need to make a quilt very quickly. Head over to The Jolly Jabber to download the free pattern and to see the versions created by the other participating bloggers. Such a pretty rainbow take on this pattern! And your photos are terrific. This is so beautiful! 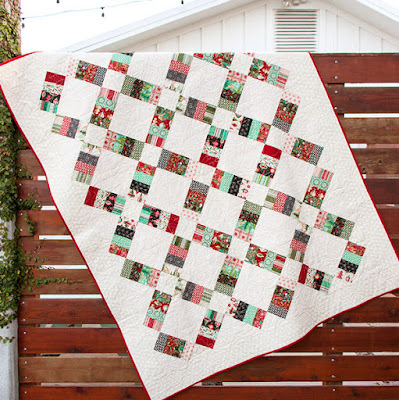 I love the pineapple print and it works so well in this quilt! I like your version the best!!! I love your happy rainbow quilt! Good job! I love your version of it. 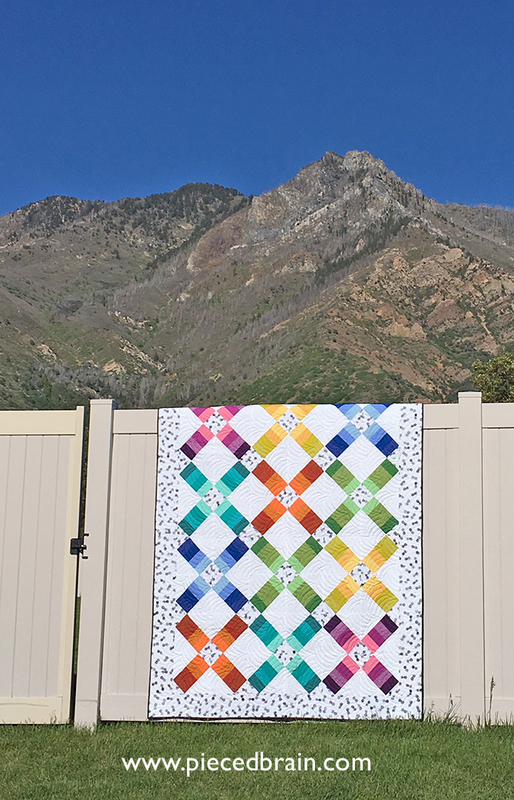 Your quilt is my favorite version of this design. It's just beautiful. I love your version - the ombre colours work beautifully and what's not to love about pineapples! !